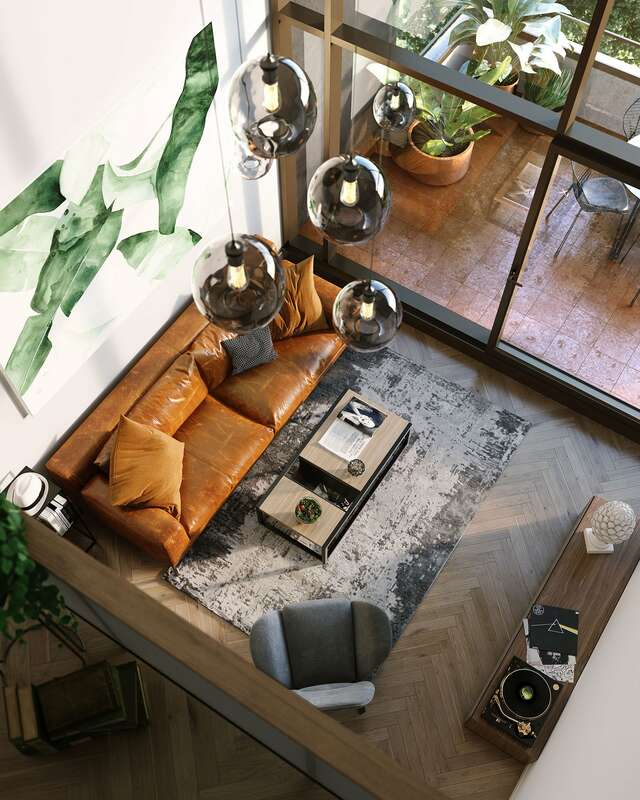 Escala includes a range of split-level lofts in a unique interlocking design that combines dramatic scale and efficiency. 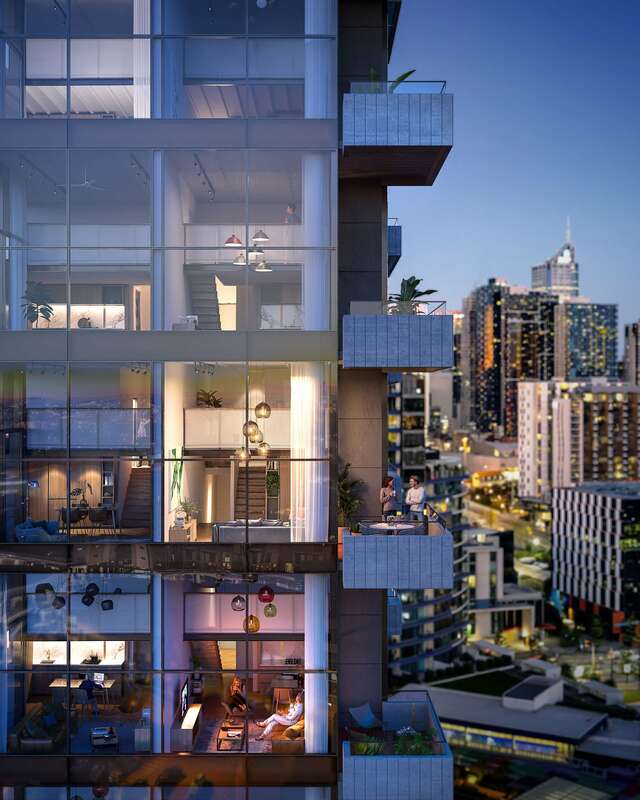 With 4.5m high ceilings over the living area and floor-toceiling windows, light pours into the double-height spaces and delivers views that extend across Docklands. 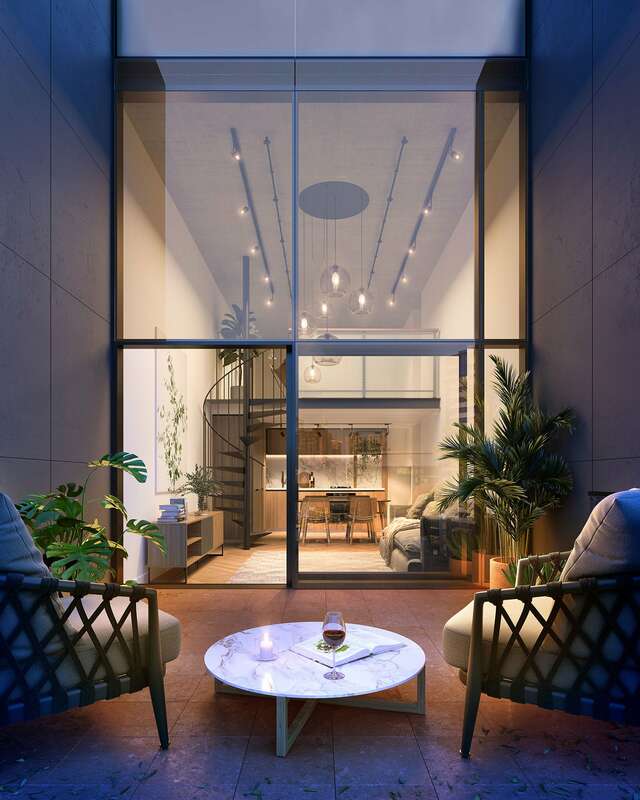 The interiors have been cleverly designed for flexibility to accommodate evolving lifestyles. The mezzanine can be an elevated second living space, home office, guest space, children’s play area or parents’ retreat. 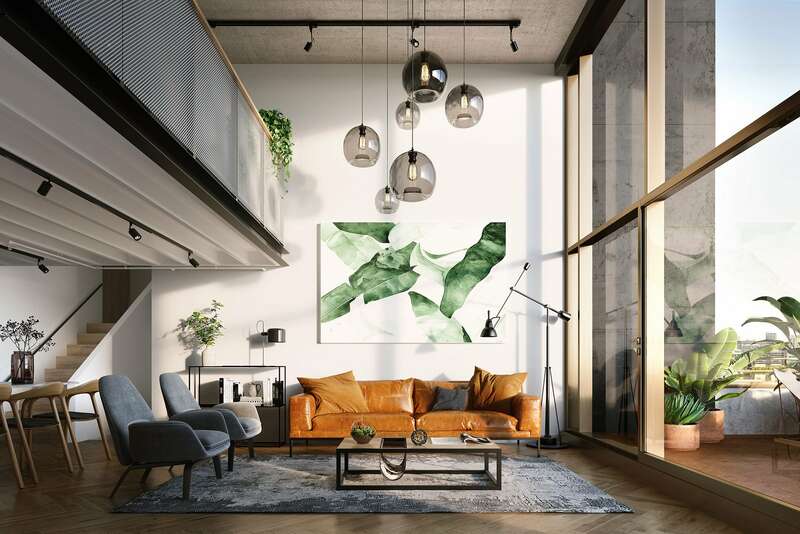 The interior style of each loft exudes sophistication, with concrete ceilings and track lighting balancing the natural warmth of the engineered timber floorboards, wool carpets and balcony terracotta tiles.